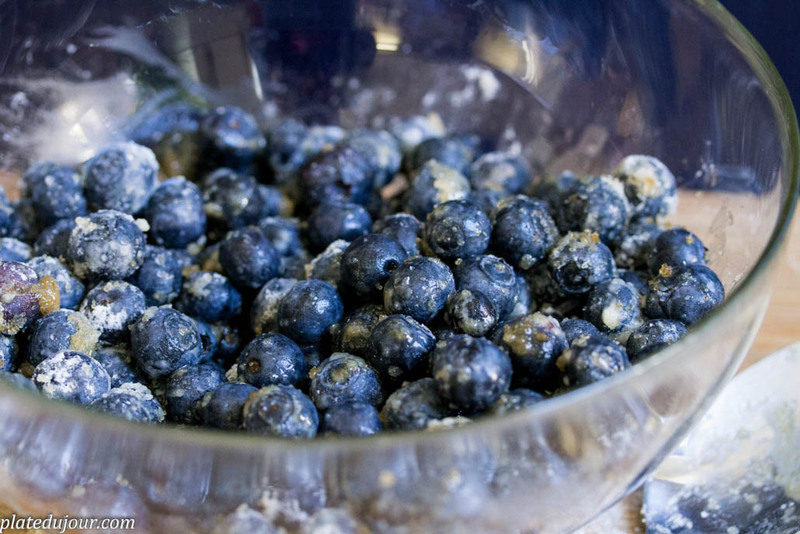 The truth is I could eat blueberries every day. And I do. 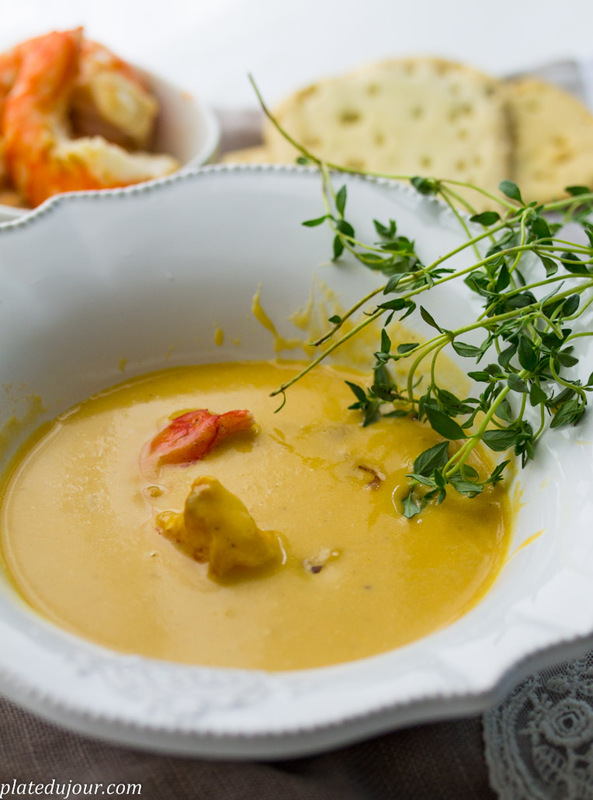 This recipe is so good that I decided to share it with you without writing any introduction. Just try it and you will see I wasn’t joking. I discovered it online about two weeks ago and I made this cake already twice. It’s absolutely yummy and it doesn’t need anything else to encourage you. I promise once you start eating it, it will be difficult to stop. 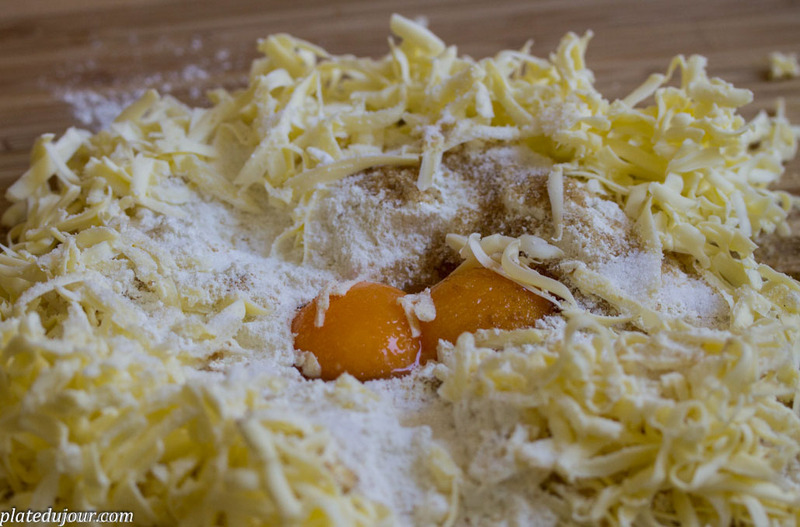 On a clean work surface prepare the flour- make a well in the middle, add two yolks, sugar and butter. You can see on the picture that I did not slice the butter- it’s grated- because it’s much easier to work on all ingredients when you do that. 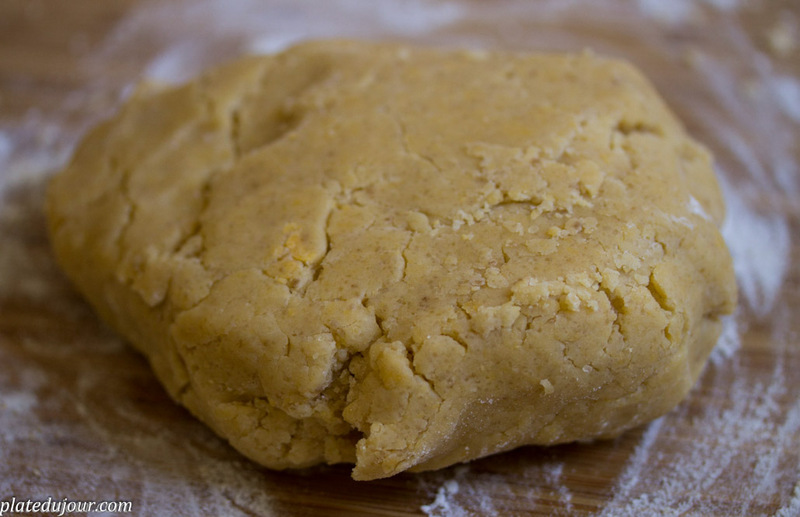 You need to work on this dough for about 15 min – if it’s too difficult to combine all ingredients you can divide it into two parts- and work first on one and then on the second part and in the end combine them in one again. When the dough is ready, place it in the fridge for about 30 minutes. After 30 minutes in the fridge the dough should be cooled properly. You can start preheating the oven. 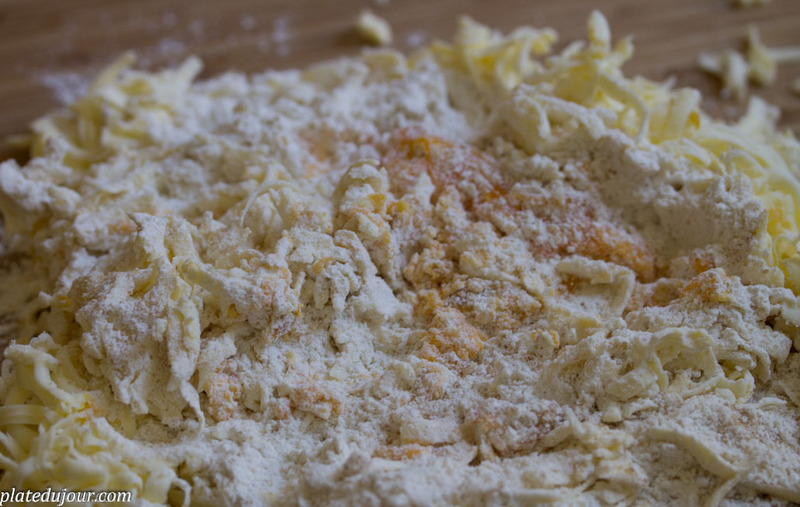 Spread the dough with the rolling pin on a floured working space and place in the pie plate. 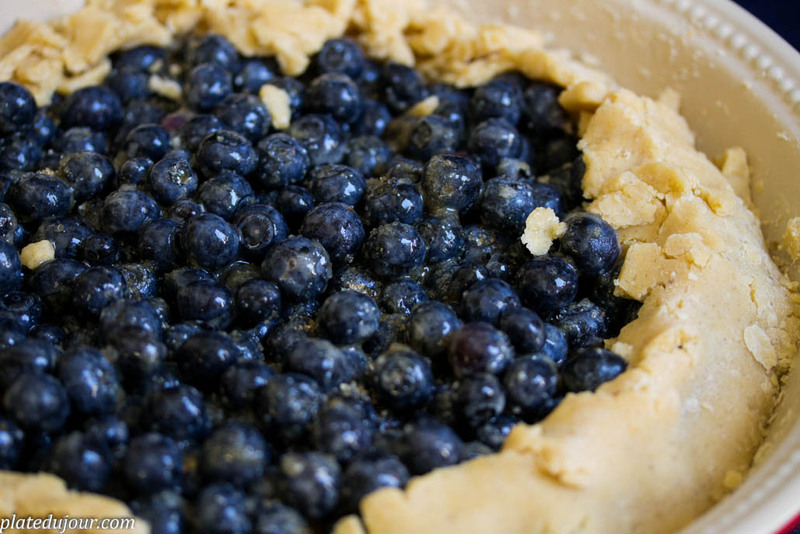 Once this is done, spread the blueberries on the dough. The important thing you need to do it to fold the edges of the dough toward the center, like on the picture. Last thing- sparkle the sugar on the blueberries- the whole table spoon and using the silicon brush spread some whites all over the cake including the edges. Bake it for 30-35 minutes maximum. Serve it warm or cold, it’s so good!